Susi B's Natural Solutions: Chemical-free Pet Protection! 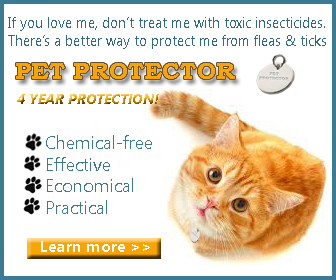 have a chemical-free, non-toxic alternative to keep my pets safe from Fleas, Mosquitoes & Ticks!!!!! O how sweet.You love your pets and feel pain for them.I have also pets but through your post i got great message and yes i gonna care them too much from now.Thanks.